Ah, summer -- that time of year when, despite sunburns and uncontrollable sweating, we all start feeling a bit of wanderlust. Sure, you could probably scratch that itch with a day in a new beach town or a picnic outside, but why not take full advantage of those extra long summer days and plan something actually worth telling your coworkers about on Monday? To help inspire you, we’ve collected our best alternatives for run-of-the-mill summertime activities -- and we promise, they all will make your Snapchat story worthy of at least three fire emojis. Whether you’ve planned a weekend with your SO or with a group of friends, a weekend spent on a lake is a quintessential summertime activity. 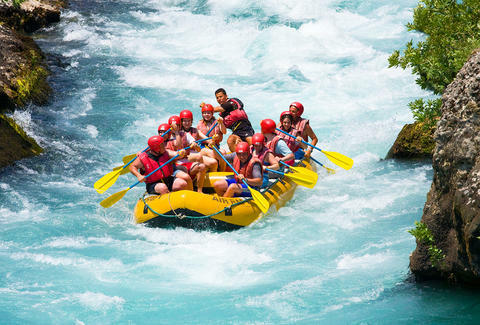 However, you can make it a bit more memorable by planning this year’s trip around some of the best whitewater rafting spots in the country. The Nantahala River in western North Carolina, for example, is known as the go-to spot for beginners to learn whitewater rafting in the United States. Zoar Outdoor offers whitewater rafting classes outside the Berkshires in Massachusetts, and on the American River near Sacramento, Current Adventures has been teaching whitewater rafting for more than 20 years. Some summer weekends, all you’re going to want to do is lie on a beach, and that’s 100% fine. But this should be the summer you challenge yourself to pick up a new skill, too. So, in between snoozing with some sand between your toes, schedule a surf lesson. Whether you’re in the epicenter of the surfing world on the West Coast, or just hanging out at the Jersey Shore, there are plenty of places for a beginner to learn the waves. Plus, they’re conveniently located next to beaches, so if your arms get tired after one too many wipeouts, you can still take that nap under an umbrella. We all have that one friend who spends half the bonfire pointing out the Big Dipper, so why not fully indulge them by taking in what the sky actually looks like. Most of us live near cities that make it impossible -- so a weekend camping in some of the darkest parks in the country will change your perspective. On the East Coast, Pennsylvania’s Cherry Springs State Park is an accessible campsite that even hosts parties for various eclipses and events. Death Valley National Park and Big Bend National Park are also prime spots. Making sure the beer cooler doesn’t flip when you bump into a river rock may be enough to get your heart racing, but other than that, a river float is just two to six hours of sunbathing in an inner tube. 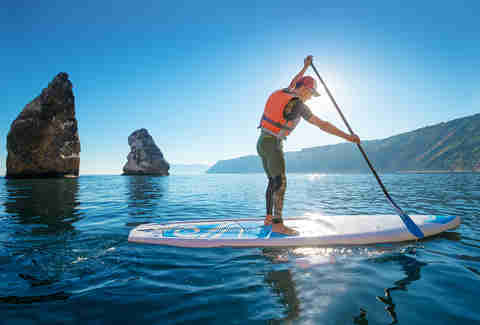 If you want to see your city in a whole new way, or just see if you can do a headstand on a floating board in the water, you should try stand-up paddleboarding, or SUP. Head out to San Francisco to see the Bay Area from the water, or trek to Miami where you can take an entire yoga class from a SUP. Instead of casting off in your usual spot this year, rally your fellow fisherfolk and set your sights on an overnight camp. There are options around the country, particularly when it comes to fly fishing for trout, which are at their peak in the summer months. In Montana, for instance, there are all-inclusive guided excursions offered on the Madison, Boulder, and Yellowstone rivers (plus, lodges set up for anglers). For something a little more rugged, Utah’s Green River offers more traditional camping set ups for those looking to catch a few fish. On the East Coast, you can set up camp in the center of Maine’s Moosehead Lake, accessible only by canoe, and then bait your line. 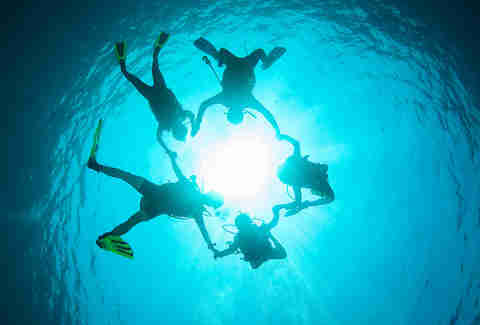 You don’t have to shell out for an all-inclusive vacation in the Caribbean to scuba dive this summer -- there are plenty of sites across the United States to check out. (Some of them are even in aquariums.) You could head out to California and visit the Point Lobos State Reserve, in hopes of catching a glimpse at harbor seals, leopard sharks, and rock cod. Or, if you’re looking for something untraditional, there’s the Bonne Terre Mine -- an old mine site that was flooded after it was abandoned, and is now open to divers. There’s even a movie theater inside the mine that once showed safety clips. 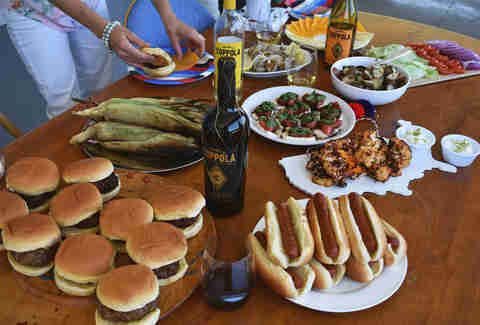 Spending a few weekends manning the grill certainly doesn’t make you a barbecue expert. However, if your ribs have consistently left your friends licking their plates clean, it may be time to see if your barbecue is really worthy of that “#1 Griller” apron you got for Christmas last year. There are plenty of contests open to amateurs, the largest network of such being the Kansas City Barbecue Society -- which hosts 500 competitions a year all over the country. Word to the wise, though, enter the “backyard” or “patio” divisions (if they are offered) a few times before you try to take on the professionals -- making great barbecue is harder than it looks. Taking in an outdoor concert is a summertime rite of passage, and nearly every city has an option. 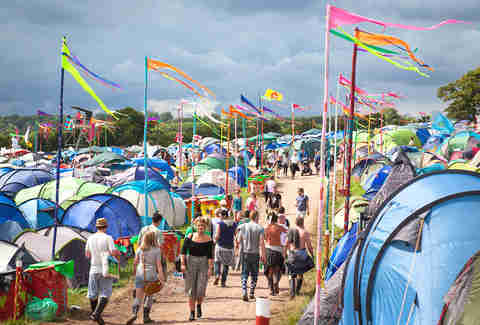 However, you can turn the pastime of getting far too sweaty in a crowd with strangers into something a bit more extreme by making a plan to hit one of the season’s many multi-festivals that require camping. Later in the summer, there’s electronic music festival Summer Set in Somerset, WI, or, if unplugged music is more your thing, the Newport Folk Festival draws lots of fans annually to RI. Why wait an hour for a table on the sidewalk at brunch when you could spend the morning exploring hundreds of acres of beautifully landscaped nature? There are breathtaking botanical gardens and arboretums all across the country, with several boasting preserved forest land and miles upon miles of walking paths. In particular, the Washington State Arboretum in Seattle offers wetlands that are dotted with smaller landscaped gardens, while the Dallas Arboretum and Botanical Gardens have a magnolia glade and pecan grove. Take summer to the next level with a drink that gets the party going. That’s where Francis Coppola Diamond Collection wine comes in. Impress your guests with your great taste, from lighter whites for while the sun is still out to their signature reds for after work. Instead of just bringing a picnic blanket to the park to watch Wonder Woman this summer, load up the car and plan a roadtrip to see the blockbusters at one of the last standing American drive-ins. The longest standing one is Shankweiler’s in Pennsylvania, and 2017 marks its 84th season of drive-in movies. In Texas, proving again that everything there is well, huge, the Big Sky Drive-In has not one, not two, but THREE different screens, and each ticket gets you a double feature. So make sure the car radio is working (you’ll need it for these) and hit the road. With the advent of glamping and wifi-accessible cabins, does anyone really “unplug” for good? We say you can, if you decide to camp vertically. Kent Mountain Adventure Center offers a night spent perched mountainside in Estes Park, Colorado. 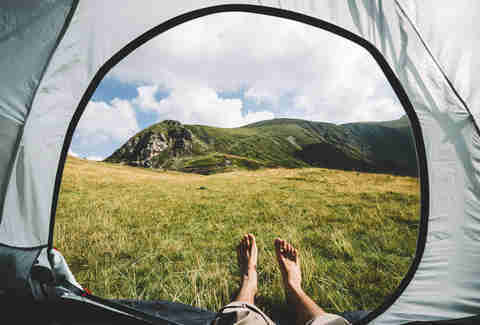 Or, if you want to throw in a backpacking trip through Europe into your summer plans, you can coordinate a similar camping expedition in Germany’s Waldseilgarten Mountain Resort. Either way, we doubt you’ll be tempted to check your email when you’re lounging on the side of a cliff. Just because you’re taking the dinner party outside doesn’t mean you’re limited to serving beans and s’mores. The smokey flavor of cooking over an open flame can help you serve up a meal that will have your friends singing your praises until Labor Day. You could try slow roasting lamb ribs in a huckleberry sauce, cooking up an entire redfish, and ending the meal with campfire cake. Trust us, you will not be missing graham crackers and burnt marshmallows after those courses.